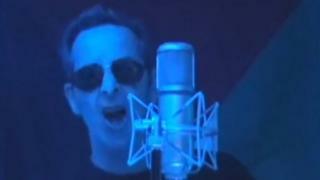 An English rugby team has banned "any music associated" with a Cornish singer following accusations of anti-Semitism. The Cornish Pirates said they would no longer play Graham Hart's music after concerns were raised about the lyrics of a song he published on YouTube. The song, Hoax Train, appears to question the Holocaust to the tune of Love Train, Cornwall Live reported. Mr Hart's music was regularly played at the club on match days but the club said that track had never been played. "We were immediately concerned and felt an obvious and proper need to positively react," chairman Paul Durkin said. "Despite the particular song being one that we have never played, in the circumstances it is felt proper to in future not play any of Mr Hart's songs." Cornwall Councillor for Penzance Tim Dwelly, who reported the song to the club, said the lyrics were "absolutely disgusting". He said that the track, which was uploaded to YouTube in July last year, painted Auschwitz as a "holiday destination" and claimed Anne Frank's diary was a "hoax". Mr Dwelly said that the club took "immediate and active" action and agreed to "block him and ban him from any further performances at the club". Mr Hart has been contacted for a comment.